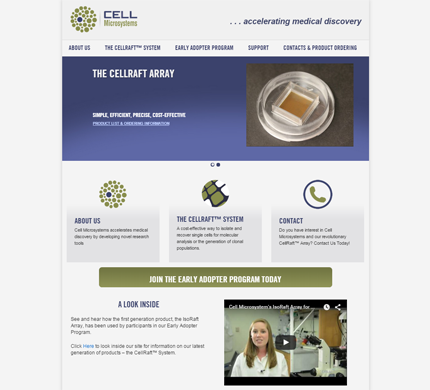 Cell Microsystems is a University of North Carolina “spinoff” technology company that develops novel research tools supporting the bio-tech industry. They wanted their existing WordPress site updated to a custom Genesis theme that was mobile friendly. They hired DeLime Website Services to apply their existing design to the Genesis framework and build a custom mobile responsive theme.